There are many who wake up from Polymyalgia rheumatica (PMR) pain early in the mornings. Patients seem to develop this disorder rapidly overnight. This is not to rule out patients who develop pain due to PMR in the evenings as well. 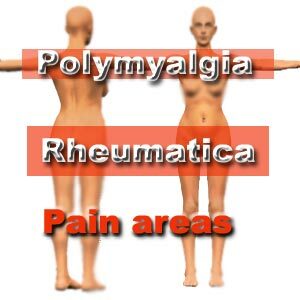 Taken from Greek, 'polymyalgia rheumatica' means 'pain in the muscles'. PMR is a rheumatic disorder, an inflammatory condition of the muscles causing pain and stiffness in the neck, shoulders and hips. Some patients are likely to develop swelling or edema of the hands, wrists, ankles and top of the feet. The mobility of the shoulders, neck and hips is reduced after PMR. Muscle weakness gradually becomes a problem because of lack of use due to pain and stiffness. PMR is not a life threatening illness but it does require treatment and therapy for two to four years. The pain from Polymyalgia rheumatica (PMR) can either be very sudden and excruciating or can gradually occur over a period of time. It is estimated that in the US, 700 per 100,000 people in the general population aged 50 years or older develop polymyalgia rheumatica. Although what triggers of PMR is unknown, it is understood that the white blood cells in the body attach to the lining in the joints and cause this inflammation. Genetic and environmental factors cause PMR. Aging also plays an important role. It has been found that PMR can be inherited especially in genetically susceptible individuals whose immune system can be stimulated by virus. Some prominent virus linked with PMR is adenovirus which causes respiratory infections, human parvovirus B 19 which usually affects children and human parainfluenza virus. Although the etiology of PMR is unknown, those aged 50 and above run the risk of PMR. Another risk factor of this chronic, episodic and inflammatory disease is presence of giant cell arteritis. Who is at risk of PMR? Women are twice as likely to develop PMR as men. White women over the age 50 with giant cell arteritis are most at risk of developing PMR. Average age at onset is 70 years. Swelling of the knees, wrists and mid and upper chest joints. There are a limited number of diagnostic tests that can be done to diagnose Polymyalgia rheumatica. A doctor can physically note the swelling of the joints in the wrists and hands and limited motion in the shoulders. ESR blood test is done to measure how fast the red blood cells of the patients can settle in the tube. The faster the blood cells settle, the higher the value of ESR and more the inflammation. As many conditions can cause elevated ESR, this test cannot be construed as a proof of PMR. C-reactive protein is another diagnostic test which usually shows high levels in patients with PMR. As CRP is produced by the liver in response to an injury or infection, this test again is non-specific. Serologic tests such as rheumatoid factor and antinuclear antibody tests as well as muscle related enzyme assays such as creatinine photokinase are done. Rheumatoid factor is an antibody sometimes found in the blood. Although patients with rheumatoid arthritis are most likely to have rheumatoid factor in their blood, patients with PMR do not. As PMR is associated with temporal arteritis, a biopsy sample of the temporal artery is taken to confirm this condition. It is estimated that about 15% of people in the US with polymyalgia rheumatic also develop giant cell arteritis. The patients with PMR either develop giant cell arteritis simultaneously or after PMR symptoms disappear. It is essential that the doctor looks for symptoms of giant cell arteritis in patients diagnosed with PMR. This is mainly because of the risk of blindness as untreated giant cell arteritis can lead to permanent vision loss and stroke. However, with proper treatment, the disease is not threatening. The symptoms of PMR can be quickly controlled with treatment although relapse can occur if treatment is stopped too early. Therapy for PMR may require several months or years. Average duration of illness is about two to four years. Since the goal of treating PMR is to relieve pain and stiffness, medications coupled with proper exercise and rest becomes essential. Anti inflammatory medicines such as aspirin and ibuprofen are commonly prescribed to treat mild cases of PMR. For more serious cases, Corticosteroid drugs are used to reduce inflammation. But corticosteroids should be used briefly for six months or for a maximum of one to two years, although some patients need to be treated longer. Corticosteroid tends to cause side effects such as weight gain, osteoporosis and increased risk of infection, cataracts, glaucoma and high blood pressure. Non steroid anti inflammatory drugs are also used to treat PMR. These can help relieve pain and stiffness and they are not as strong as corticosteroids. Mild cases of PMR can be treated with non steroid drugs alone. But these drugs tend to cause ulcers and bleeding in the stomach and should be taken with food. 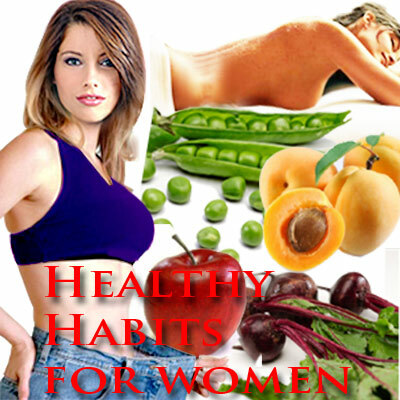 Along with medical therapy, the patients should exercise and eat healthy. Exercise can strengthen the weak muscles and prevent weight gain. A healthy diet is imperative to maintain a strong immune system and build strong muscles and bones. Many with PMR lead productive and active lives. The duration of the medicines prescribed and that of drug treatment differs from one patient to another. With proper treatment, PMR rarely recurs. First Published Date: 17 Jun 2009 Last modified Date: April 18 2019 This page may have been updated recently as new information is available or the content may have been edited for better readability.